Sixteen-year-old Seph McCauley has spent the past three years getting kicked out of one exclusive private school after another. And it’s not his attitude that’s the problem. It’s the trail of magical accidents-lately, disasters-that follow in his wake. Seph is a wizard, orphaned and untrained–and his powers are escalating out of control. After causing a tragic fire at an after-hours party, Seph is sent to the Havens, a secluded boys’ school on the coast of Maine. At first, it seems like the answer to his prayers. Gregory Leicester, the headmaster, promises to train Seph in magic and initiate him into his mysterious order of wizards. But Seph’s enthusiasm dampens when he learns that training comes at a steep cost, and that Leicester plans to use his students’ powers to serve his own dangerous agenda. In this companion novel to the exciting fantasy The Warrior Heir, everyone’s got a secret to keep: Jason Haley, a fellow student who’s been warned to keep away from Seph; the enchanter Linda Downey, who knew his parents; the rogue wizard Leander Hastings, and the warriors Jack Swift and Ellen Stephenson. This wizard war is one that Seph may not have the strength to survive. I picked this book up from a used bookstore not realizing it was the second in a trilogy. That being said, after reading this book and the eluded bits about the first, I don’t feel as if I missed anything or don’t understand what’s happened from having started with the second. If you are going to read this series, I would likely recommend you start with the first book, The Warrior Heir. This was a book I didn’t want to end. Instantly enthralled, it was very easy to empathize with Seph. There was a depth to this novel that isn’t always seen in YA pieces, the motivations of what people are doing to achieve their goals not obvious at first, but understandable when revealed. On top of the great characterization and development, this book is also well written in a way that makes you want to know what happens next, and care very deeply for the connections the main protagonist makes. So many lessons can be learned from this book. If it seems too good to be true, it probably is. If you feel like something is wrong, don’t let anyone pressure you into doing something you’re uncomfortable with. Trust your instincts. I read this book slowly, putting it off or only reading in small spurts to try to make it last longer, knowing that a find like this doesn’t come that often. I absolutely love this book and highly recommend it to others. I also think this book would likely be amazing for reluctant readers, due to how gripping the plot is. 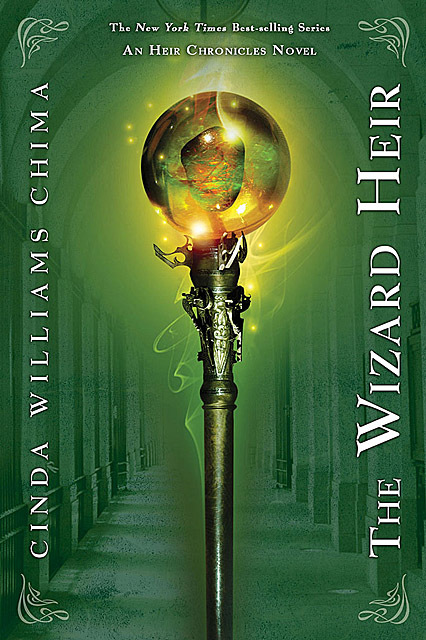 New York Times bestselling author Cinda Williams Chima began writing romance novels in middle school, which were often confiscated by her teachers. Her Heir Chronicles young adult contemporary fantasy series includes The Warrior Heir (2006), The Wizard Heir (2007), The Dragon Heir (2008), The Enchanter Heir (2013) and The Sorcerer Heir (2014) all from Hyperion. 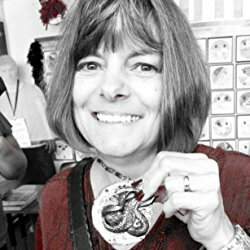 Chima’s latest series, The Shattered Realms, (HarperTeen) is set in the Seven Realms world, and features a new generation of characters. It includes Flamecaster and Shadowcaster (April 2017) with two more coming. Chima’s books have received starred reviews in Kirkus and VOYA, among others. They have been named Booksense and Indie Next picks, an International Reading Association Young Adult Choice, to the Kirkus Best YA list, and the VOYA Editors’ Choice, Best Science Fiction, Fantasy and Horror, and Perfect Tens lists. Chima lives in Ohio with her family, and is always working on her next novel.